J.K. Rowling Has Confirmed That Jews Can Be Wizards! 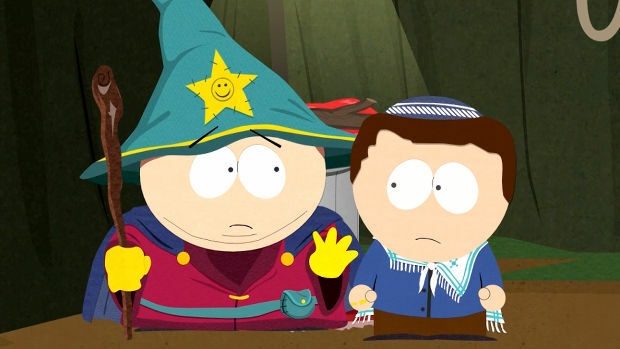 According to Eric Cartman, Jews can’t be pirates (totally false) but Harry Potter authoress J.K. Rowling has confirmed that they can be wizards. That’s right: JEWS CAN BE WIZARDS. Rowling answered the question on her Twitter account, when a fan sent her the following and she responded in kind. Let it be known on this day, the second day of Chanukah, J.K. Rowling gave us Anthony Goldstein, Ravenclaw, Jewish wizard. Anthony Goldstein, Ravenclaw, Jewish wizard. His name is Anthony Goldstein. And he’s a Jewish wizard.